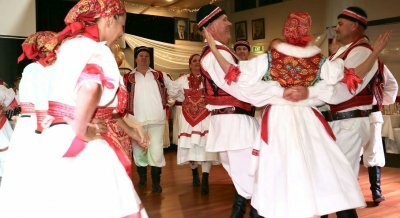 The Lado Croatian Folkloric Ensemble of Western Australia is proud to present a unique celebration of Croatian folkloric music, dance and song. After forging special friendships with like-minded ensembles from around Australia, this inaugural folkloric extravaganza has been created to share our wonderful culture with the wider community. Sharing the stage will be over 150 dancers, singers and musicians from Lado CFE Perth, HFG Zagreb Perth, Klapa Kaliterna Perth, Koleda CFE Sydney, HKUD Lado Geelong and HFS Lenek Adelaide. Music and song are a very important part of Croatian folkloric dance, which varies throughout the many regions of Croatia. Our diverse history and culture are expressed through our traditional music, dance and intricate costumes. Collectively, we will be showcasing performances from all over Croatia, each telling a special story. Lado & Friends are proud to share with you our rich history, our bond to the past, to our present and to our future generations.